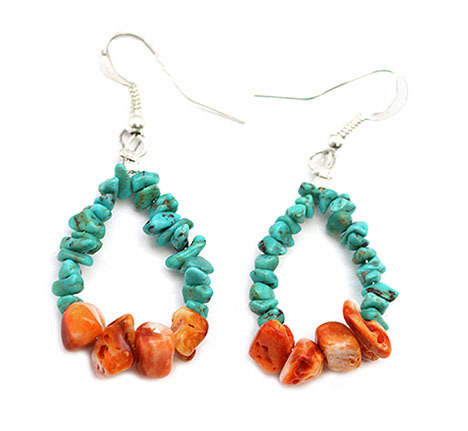 This earring is strung using turquoise and spiny oyster nuggets in a loop design. It measures approximately 2" long including silver plated french wires by about 7/8" wide. It is Navajo hand crafted by Valarie Johnson. Also available in purple spiny nuggets. Choose color when ordering.